art glass, clavos, and speak easy grills. 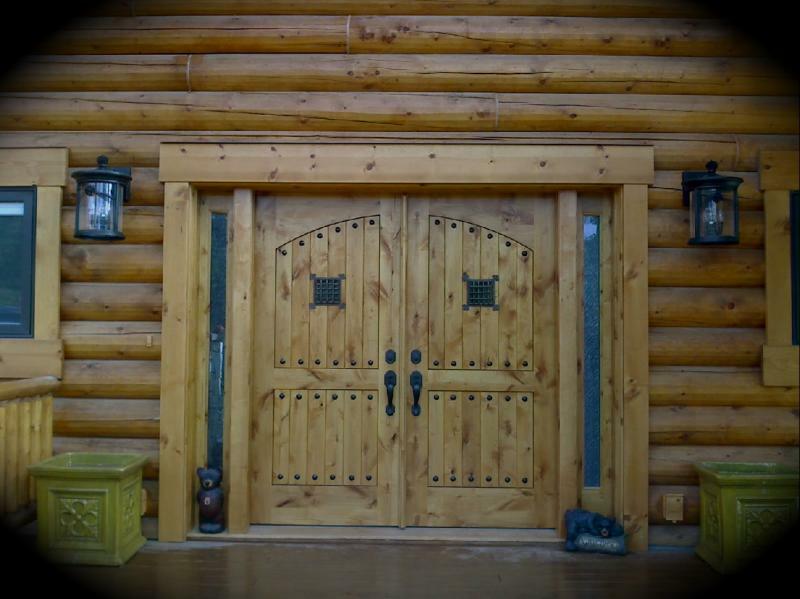 #4 Knotty alder, hand hewn, custom iron grill and hinges. 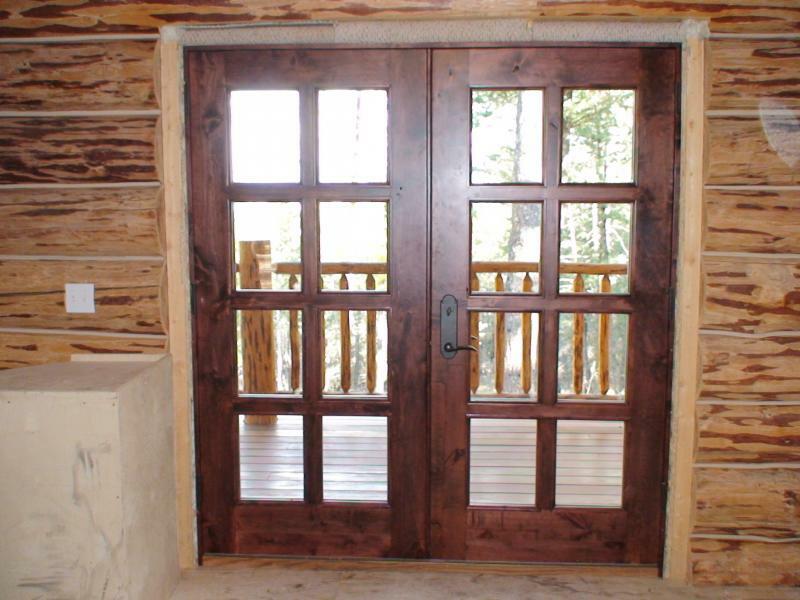 #5 Natural grey barn wood, 8 light french doors. #8 Red oak , raised panels with oval art glass. 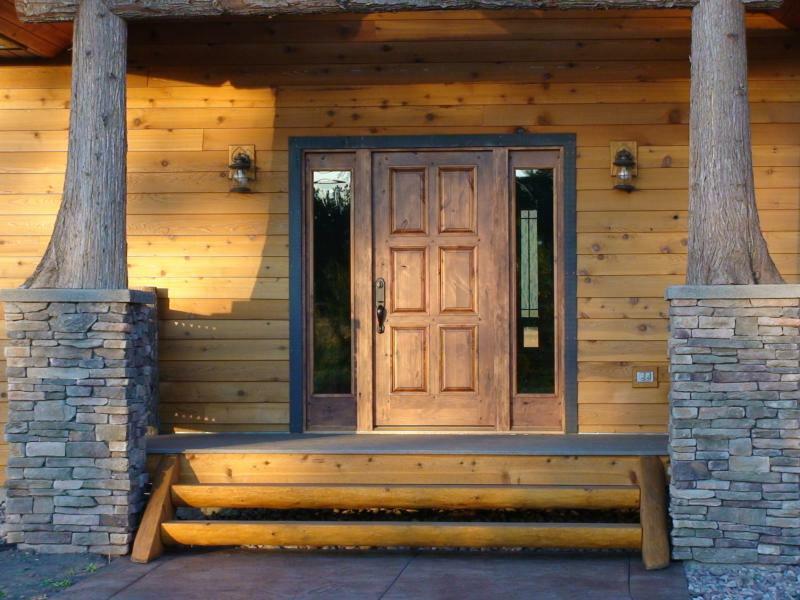 #9 Skim planed reclaimed fir, custom design with 1/2 sidelights. #10 Knotty alder, raised panels, applied moulding and pegs. #11 Knotty alder plank style panels and arch top rail. #12 Reclaimed fir, 3 light with battens and transom. 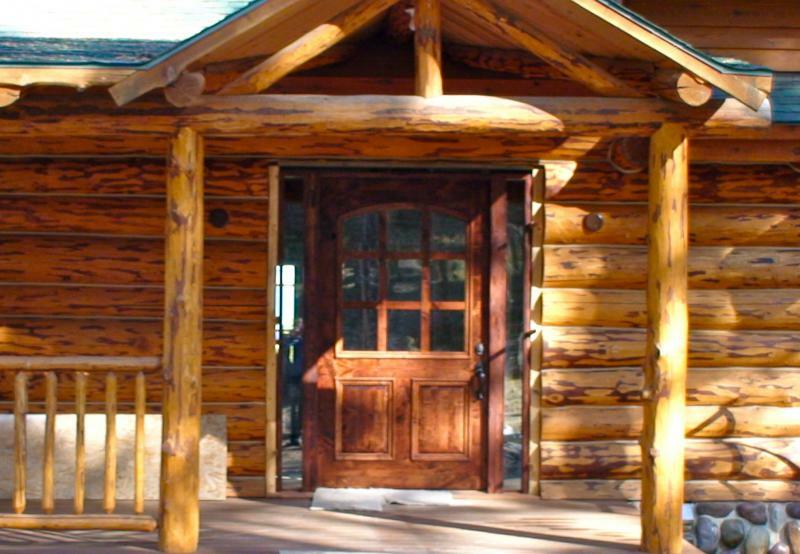 #13 Rustic pine, continuous arch, raised panels. 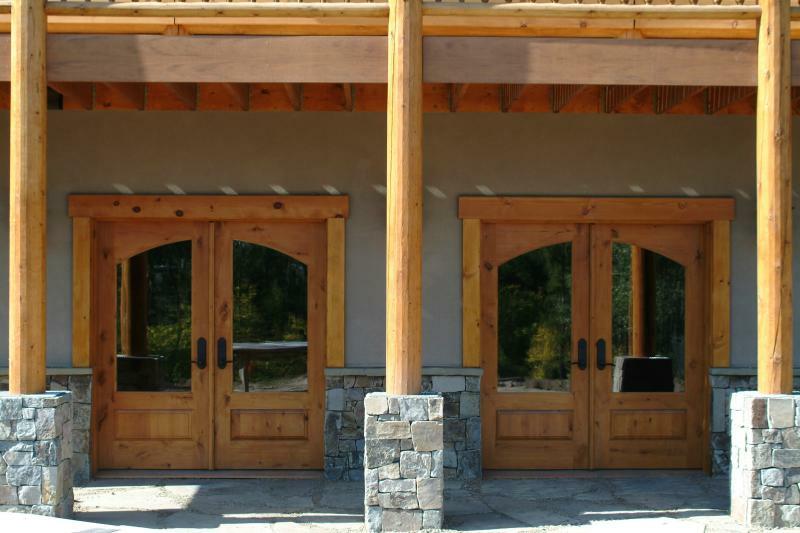 #14 Knotty alder full glass entry way. 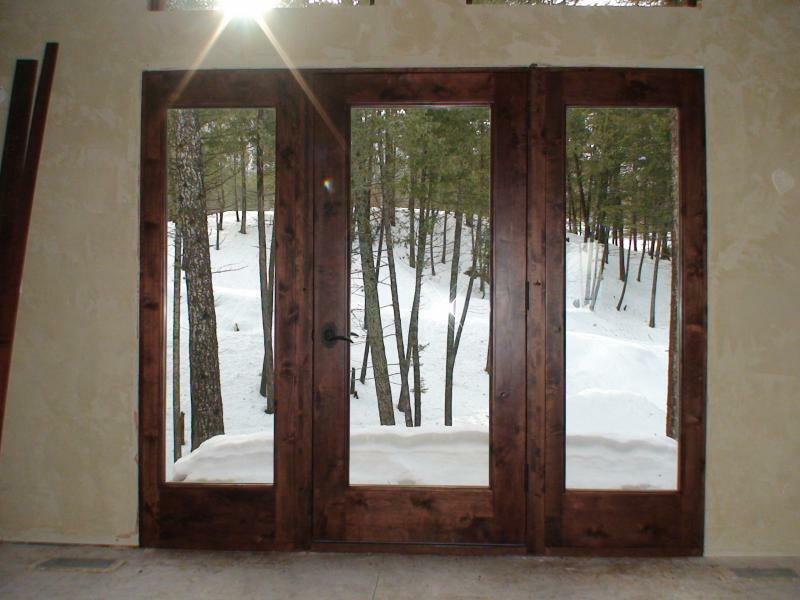 #15 Knotty alder, 8 light french doors. #16 Knotty alder, raised panels, 9 light, large applied moulding. #17 Knotty alder, raised panel, 4 light, arched top rail.